We can say that the Aragon Grand Prix has been a good day, with the Ducati bikes in 4th and 5th position, and the LCR riders in 7th and 19th places. Both Ducati Team riders had a good race today at the MotorLand circuit in Spain. 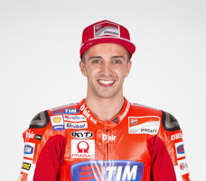 Andrea Iannone finished the Aragón GP in fourth place, less than eight seconds behind the winner Jorge Lorenzo, while his team-mate Andrea Dovizioso was one place behind in fifth. Iannone, who started from the front row of the grid in third place, got off to a good start and was third at the end of lap 1. After Marquez crashed out on the following lap, he moved up to second, but was then passed by Pedrosa and Rossi over the next two laps. Iannone then remained in fourth place until the chequered flag. Thanks to today’s results, Iannone is still fourth overall in the standings, but has reduced the gap to Marquez to just 12 points. Dovizioso, who started from row 5 in the thirteenth grid slot, managed to get an excellent start and made up numerous places on the opening lap, which he finished in seventh. The man from Forlì then continued to move up through the field over the next three laps and crossed the line on lap 4 in fifth. 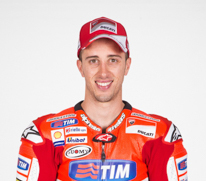 Dovizioso remained in that position until the flag, holding off attacks from Bradley Smith and Aleix Espargaro. Dovizioso is still sixth in the overall standings, but his gap to Smith is now reduced to just four points. 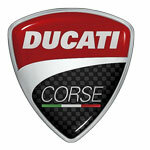 Ducati and the Ducati Team continue to lie third in both the Constructors’ and Teams’ standings. 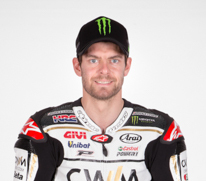 LCR Honda rider Cal Crutchlow maintained his fine record at the Grand Prix of Aragon as he finished in seventh position in Sunday’s race. The Briton has never finished outside the top 10 during his five visits to the Motorland Aragon circuit in the MotoGP class, although he admits he was not totally satisfied with his latest result. Starting from eighth on the grid, Crutchlow made a poor start due to a clutch problem but battled impressively throughout despite being hampered by grip issues with his RC213V bike. However, the 29-year-old believes there are plenty of positives to be taken from this weekend in Spain as he looks to finish the world championship season strongly. “I was not too happy with my final position of seventh, but again this was the best we could do with our package. I was riding quite well, but I had no grip with the rear of the bike. We had some other small problems, I had a slipping clutch on the start-line and lost four places immediately and we struggled with the acceleration of the bike. 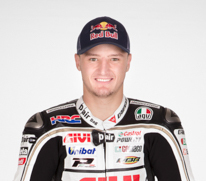 LCR Honda rider Jack Miller finished in 19th position after a competitive performance at the Grand Prix of Aragon on Sunday. For the majority of the race the Australian was part of a large group in the middle of the field and looked well placed for another points finish at the Motorland Aragon circuit. However, tyre disintegration ultimately cost Miller over the closing few laps and he was dropped as he looked to ensure he kept the bike upright. He admitted his disappointment at the eventual result, but insisted he had taken a lot of positives from round 14 of the MotoGP world championship in Spain. “I was happy with about 90% of our race. It was really, really good all the way through until about five laps to go, then the front tyre gave way and it was too much as we were already struggling with the rear. After that I couldn’t hold the pace of the group any more and I had to slow down otherwise I would have crashed.